One of the most interesting opponents of Batman is Joker – a character in a purple suit, who is fighting with the help of objects similar to props of a clown and an illusionist. 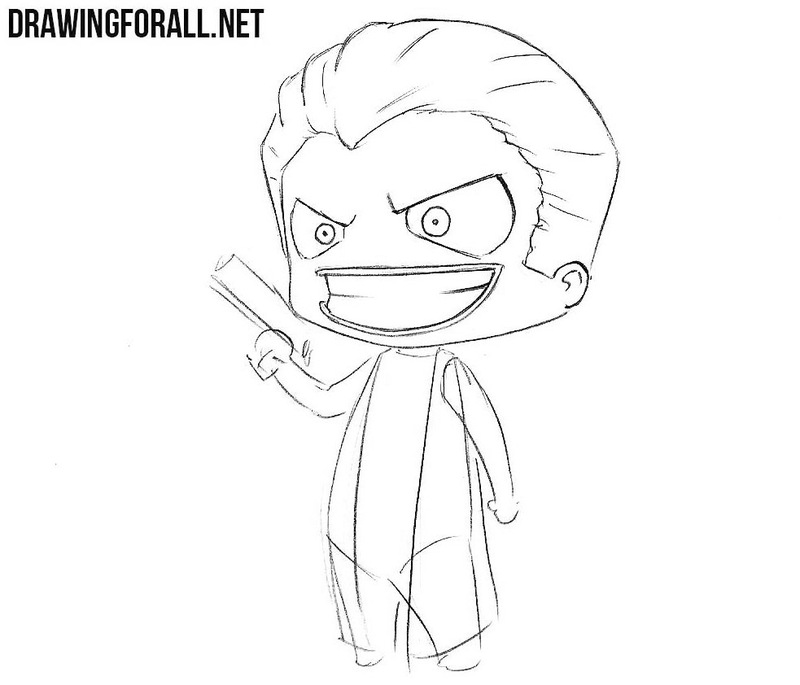 In one of the previous lessons, the team of Drawing For All showed how to draw Joker in the comic style, and in this lesson we’ll show you how to draw chibi Joker. 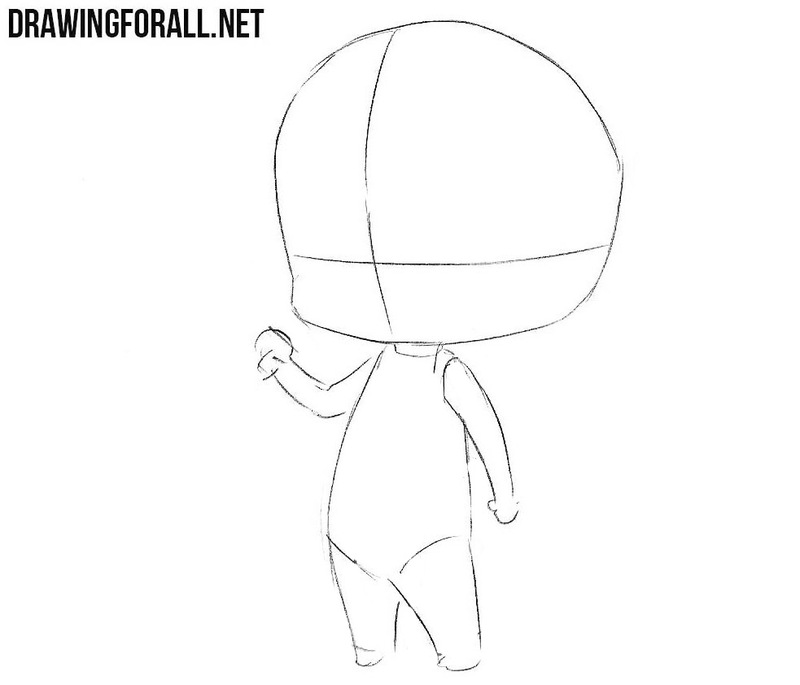 All the chibi characters are quite similar to each other, and their first steps look the same. 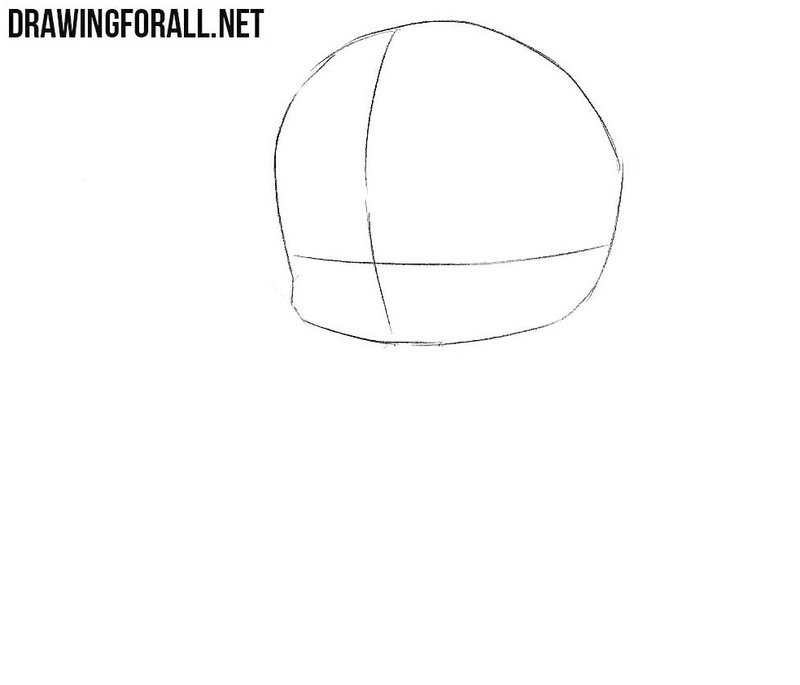 Draw a rounded head on which we sketch two lines for drawing the details of the face. 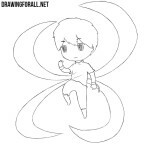 Now draw the torso and limbs with simple and light lines. 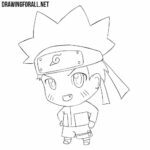 Do not forget that the body should be very small in comparison with the head, since our character is drawn in the chibi style. Let’s now add some basic details to our Joker. Here we sketch out the outlines of the coat on the body and the pistol in his hand. 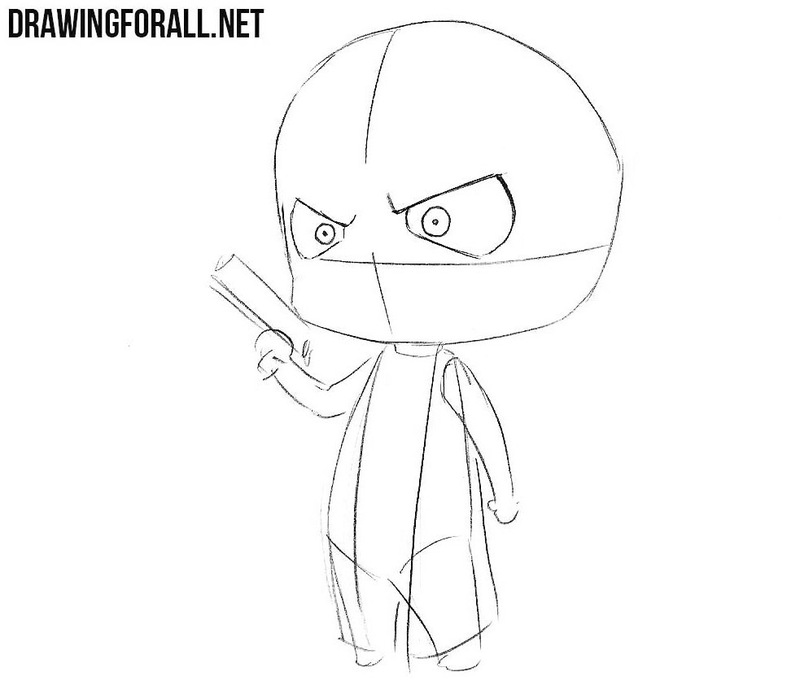 Let’s start drawing the details. 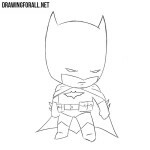 First of all draw out the evil eyes of Joker with small round pupils inside. 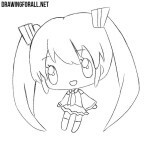 Now move lower and draw out a wide-open smiling mouth with clenched teeth. 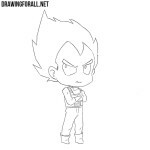 Draw out the outlines of the head, a small ear and a hair combed back as shown in our example. 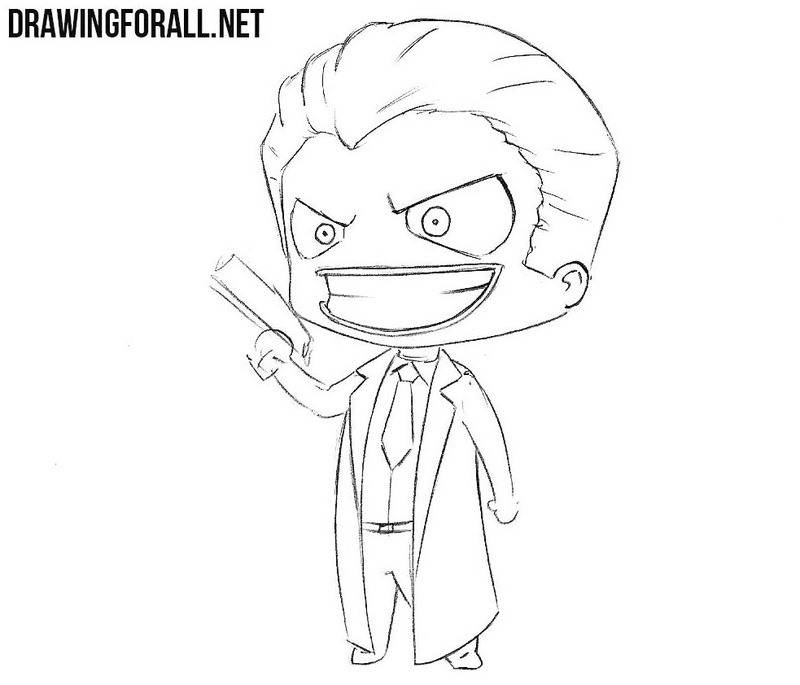 Now move to the body of the joker, drawing the long coat, tie and legs, most of which is hidden under the coat. We have the last step – here we just need to draw out the outlines of the hands, the pistol and erase all the remaining unnecessary lines. 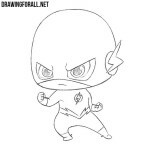 We know that our readers are very fond of drawing comic book characters in the chibi style, and therefore we want to create many lessons similar to the lesson about how to draw chibi Joker. If you want to not miss new lessons from our site, then be sure to subscribe to us in social networks and visit our site as often as possible.